The only disappointment of this SCO concert was the poor turnout, with much of Queen's Hall noticeably empty. Those absent missed out on a fantastic evening's performance. Oliver Knussen opened the programme with his own arrangements of two Mussorgsky works. Knussen breathed new life into the original short and sweet piano works. The SCO enlivened the works with great colour – from the imitation of the spinning wheel in La Couturière, or the Seamstress, to the vibrancy of the frequently performed Gopak, a Ukranian Cossack dance. Lively and energetic, these character pieces were a wonderful introduction to the evening's programme. 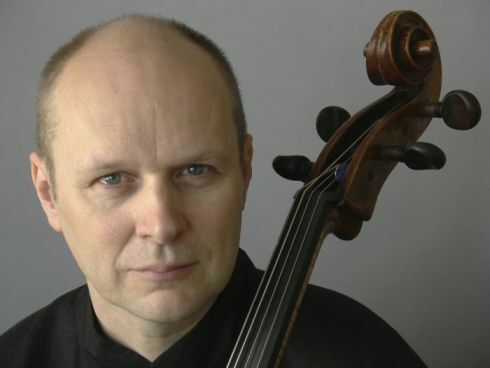 After a few minor pitch problems in the opening of the Schumann Cello Concerto, Finnish cellist Anssi Karttunen fully redeemed himself. Throughout the three seamless movements (Schumann's way of avoiding any accidental applause in between movements), Karttunen faced virtuosic passages head-on with vigour and passion. It was no surprise that he frequently wiped sweat from his brow, considering the tremendous effort and emotional strength that exuded from the performance, with the SCO fully supportive every step of the way. Following the concerto, Karttunen offered a humorous encore. An advocate of new music, he played a very short contemporary piece that amused the audience, laden with harmonics imitating bird-like whistles and other curious sounds. The encore was the perfect length, just enough to entertain the audience while simultaneously displaying Karttunen's abilities as a contemporary musician. Debussy's La Boite à Joujoux was without question the showstopper of the evening. Knussen prefaced the piece with an enlightened introduction to the work, and it became clear we were in for a musical treat. Although only the first few minutes were orchestrated by Debussy and the rest finished by his close friend, André Caplet, it remains true to Debussy's authentic orchestral sound. With musical quotes from Children's Corner and various French folk songs, the work delights in its playfulness. A particularly captivating oboe solo could be heard in the fifth scene. The piano was also a key feature, well-suited to the overall spirited character of the work. One could hear dolls and toy soldiers come to life under Knussen's subtle and yet precise baton. He proved himself the master of the toybox, animating the SCO to new heights, while at the same time creating an irresistible sense of childhood nostalgia.